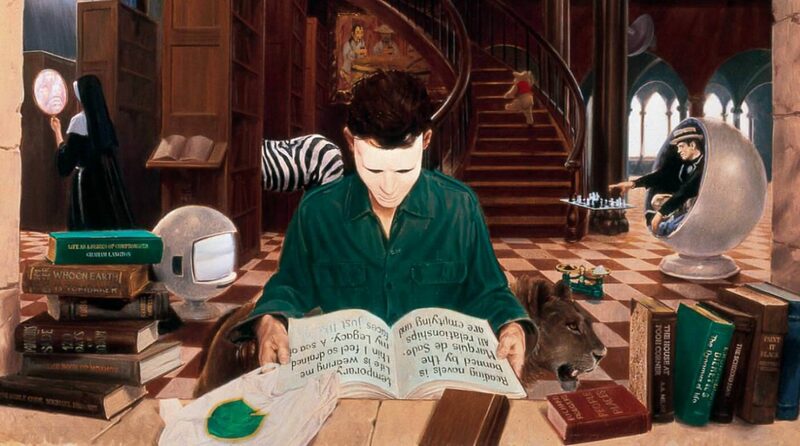 People like to talk about the “death” of point-and-click adventure games. Certainly, the genre hit a severe slump in the late 1990s and early 2000s – personally, I like Old Man Murray’s take on why it happened. (If it’s a good enough explanation for Ron Gilbert of Monkey Island fame, it’s good enough for me.) But with the rise of games like Phoenix Wright and Hotel Dusk on the Nintendo DS, and a number of releases on console and PC platforms by both major publishers and independent developers, it seems daft these days to suggest that the genre is dead. It is therefore rather irritating when adventure game fans act as though they were starving for attention, and that every new release is blessed manna from heaven. And yet, that’s how they appear to have received 2006’s Barrow Hill, a PC adventure game from Shadow Tor. The premise of Barrow Hill‘s plot is fairly simple. You’re driving through Cornwall one evening when your car abruptly stalls. Leaving your car to find help, the first thing you find is a depressing service station with an abandoned car sat in front of the pumps, a night shift worker cowering in the office mumbling to himself, and tourist information about a local landmark – Barrow Hill, a legendary stone circle, and the subject of a recent archaeological dig. Clearly, the dig has awoken something which should have stayed asleep, and since supernatural forces prevent you from leaving the area, you’re going to have to deal with it before it deals with you. About those still pictures. There’s very little actual animation in the game. The style of presentation is referred to as a “slideshow” by adventure gamers – it’s the sort of thing you had in Myst, where most of the graphics in the game consist of mostly-static, pre-rendered 3D scenes from a first person perspective. You click on various parts of the screen to turn left and right, move forward (if that is possible), investigate things more closely and interact with them, inventory items and the save/load menu can be accessed by moving the mouse to the bottom or top of the screen. The reason this presentation is called “slideshow” is because the images involved are basically static, aside from the odd lighting effect and the very occasional animation of one or two items. When you move forward or turn around, you don’t watch as your character physically and continuously moves forward or moves around – you just jump from one image to another, with no linking animation. This is a format with some quite striking limitations. I found that much of the early part of the game consisted of me running back and forth spinning around to make sure I could completely assess my options for movement. With the limited animation available, every moving item suddenly appears to take on enormous significance, even if it’s actually just a pointless feature. There’s a pool of ketchup with ripples implemented in it. I can think of no possible benefit this gives to the game beyond throwing out something else you can interact with. At the same time, I can also see why Shadow Tor went with it. The slideshow format is not one which will impress people used to fully-realised 3D worlds rendered in realtime, as has become more or less the de facto standard in videogames these days. It is, however, comparatively cheap to implement, which makes it great for independent game developers – it won’t break the budget and lets them produce a type of game which major developers have more or less abandoned. However, whilst I won’t mark the game down simply for Matt Clark’s choice of format, I have to mark him down on the implementation of that format. Whilst the actual pre-rendered images that constitute Barrow Hill are excellent and atmospheric – they’re based on extensive research and photography of actual locations in Cornwall – they’re also extremely fiddly to interact with. The hotspots – the clickable portions of the screen – aren’t always obvious, and aren’t always of a sensible size either. Often hotspots will be located extremely low on the screen – to the point where I’d try to interact with them, but the inventory would pop up and get in my way. There were three times that I had to look up a walkthrough to get past a puzzle – each time, I found that the problem was that I’d missed a quite small hotspot. (Even worse, in two of the cases the hotspot appeared to have absolutely nothing special or interesting about it.) Pixel-bitching – requiring players to click on precisely the right portion of the screen in order to get something done – is an issue that has plagued point-and-click adventures since the beginning, it’s widely known and acknowledged to be a problem and a flaw that should be avoided. In this day and age, there’s simply no excuse for it. The plot isn’t exceptional either. It’s not especially original, and it’s irritatingly overdependent on Dan Brown-style alternate history. (A gentle reminder to anyone who didn’t know otherwise: the UK’s stone circles were constructed long before the rise of the Celtic culture and the druids, and neither the druids or the actual stone circle makers have anything to do with Wicca. It’s quite possible to tell an interesting story about any one of these subjects without pointlessly tying them together.) The box cover also promises the use of “real archaeological techniques”, though aside from some waving around of a metal detector and the use of a trowel in some puzzles you don’t really interact with any archaeological techniques. There’s a puzzle where you have to interpret the results of some soil sample analyses, but they’re fairly straightforward to interpret, so that’s more the outcome of an archaeological technique than a technique in itself. And there’s a little too much pushing of the idea of Cornwall as a magical mystical country full of wonder and ancient sorcery. Worse still, the game’s major threat to life and limb is a mobile rock that burns you to ashes if you touch it. Now, granted, the Sentinel Stone’s first appearance is pretty effective – as you stroll down a forest path the lights set up by the archaeologists wink out one by one, leaving you in darkness – and when the lights come back the Stone is just there, blocking your way. However, later on Matt Clark makes the inadvisable decision to let the player view security camera footage of the Stone in action, which ends up looking like a standing stone chasing a bunch of people around a service station like some sort of especially dadaist Benny Hill sketch. All these many flaws are a shame, because there’s also some cracking ideas in the game if you can work past the gameplay and plot difficulties. I was particularly impressed with the number of clues available to the player, and the fact that a great many puzzles either have multiple different clues pointing towards the way forward, or multiple different solutions (or, in some cases, both). Matt Clark has obviously put a great deal of effort into creating the clues (all the documentary clues alone, together, would come up to a not especially brief page count), as well as designing the plot in order to both accommodate puzzles with multiple solutions and ensure that for most of the game multiple different puzzles are available at the same time (so if you’re stuck on one you can go away and work on another). The one downside was that I did find myself taking notes as I played along because you can’t take most of the documentary clues with you (with one odd exception) – it would have been nice to have had a “book bag” in my inventory which I could use to store all the documents collected along the way. This all adds up to a game which could have been really good fun but is hampered partially by basic errors in implementing the gameplay and partially by a somewhat disappointing plot. So why, then, has it been getting rave reviews from the adventure gamer community? Just Adventure gave it an A- grade, and Adventure Gamers gave it four stars. To give this some context, this would mean that Just Adventure thinks Barrow Hill is better than the first two Monkey Island games, the first Broken Sword, and Eternal Darkness, and is about as good as the original Alone In the Dark, Deus Ex, Resident Evil 4, the first three Silent Hill games and Project Zero. Adventure Gamers considers it to be about as good as Beneath a Steel Sky, and better than Loom, Maniac Mansion, Prisoner of Ice, and Hotel Dusk. Both of them rate it as being as good as or better than Full Throttle – not the best LucasArts point-and-click adventure, but a sorely underappreciated one. This willingness to give an at best mediocre game a first-class mark is astonishing; considering the heights which the genre has reached in the past (and occasionally still does reach today) it seems utterly pathetic that entirely separate reviewers on two separate, major websites devoted to the subgenre should heap praise upon Barrow Hill as though it were a masterful tour de force. One wonders what horrifying ordeals of pixel-searching the reviewer for Just Adventure must have gone through in order to convince him that the hotspots in Barrow Hill are of an adequate size; one shudders to think what butchered voice acting must have assaulted his ears for him to think the performances in Barrow Hill are in any way acceptable, let alone “good, if a little stetched”. One could suspect that the sites in question are acting out of a misplaced desire to help out a new adventure game developer make a success of it – in effect, giving it extra marks simply for belonging to the genre in the first place. Just Adventure seems especially bad for that sort of thing – they gave a B grade to Limbo of the Lost before the plagiarism controversy that hit that game prompted them to mark it down, when the infamous RPG.net playthrough thread clearly establishes that the game has severe issues that go well beyond the graphical designers being shameless thieves. What’s worse is that they tend to give older games harsher marks – the original Secret of Monkey Island only gets a lousy C grade, for example – so it seems to me that this isn’t so much a matter of rose-tinted spectacles as a desire to support new adventure releases from independent developers for the sake of it. The Just Adventure reviewer saying “Add all that to the fact that it’s an independent developer and I would be remiss if I didn’t give it an A-” pretty much confirmed this for me. And yet, according to the official site for the game it’s not just specialist adventure game sites that have given it rave reviews. The BBC, PC Gamer, the New York Times, everyone seems to be queuing up to praise the Cornish Emperor’s new clothes. It’s doubtless nice to see an independent developer making a game. But we see a lot of that these days. I just can’t find a good reason to forgive Shadow Tor for omissions and errors which have nothing to do with their independent status or a lack of funding and have everything to do with bad game design. By giving plaudits and acclaim to mediocrity these reviewers are essentially saying that we just can’t expect more from independent developers, or from point-and-click adventures, or from point-and-click adventures from independent developers. In effect, they’re saying that Barrow Hill and similiar is all that independent adventure developers should really aspire to, and that Shadow Tor don’t need to improve. I can’t see how this helps anyone in the long run. Adventure game fans in particular, whether they are out and proud and writing for a specialist site or closeted adventurers writing for the mainstream, should resist the temptation to give a fellow-traveller an easy ride. I know for a fact that we can expect better from recently-published adventure games, because I have played far better games. But people who are new to the genre, or are returning to it after a long absence, won’t have, and there’s the danger. 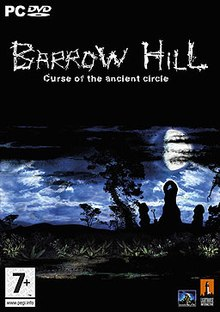 If fans want publishers to consider the adventure game genre to be a commercially viable avenue for exploration, and if they want players to see the adventure game scene as a vibrant and creative place producing great new games that are worth investigating, they can’t hold up games like Barrow Hill as paragons of the point-and-click revival. That can only prompt people to assume that the genre, like the antagonist in Barrow Hill, should have remained dead and buried.